Jerrell Shelton (2009-2017) Nashville, TN, is a highly regarded, experienced director and dynamic corporate executive with a career distinguished by noteworthy success and extensive experience in leading business organizations that excel in growth, operational performance and profitability. His experience spans top-level executive roles within large companies operating in domestic and international arenas. He has over twenty five years of global corporate governance and chief executive officer experience in publishing, information publishing, information services, software, and the internet (Thomson Reuters, Continental Graphics Holdings, Solera Holdings, IBM's WebFountain, and Neilsen NetRatings). Previous experience includes manufacturing, telecommunications, building materials and natural resources (Ethan Allen, Berkline, Reed Wallcoverings, Franklin Industries, Avco Aerostructures, Tridon International, Advantage Companies, and Cherokee Forest Products). Mr. Shelton currently serves on the board of Solera Holdings, Inc. where he is a member of the Audit Committee and chairman of the Nominating and Corporate Governance Committee. He has served as Advisor to Medley Capital, LLC regarding natural resource investments. Previously, he has served on three other public Boards (NetRatings, Advantage Companies, and Tennessee Natural Resources); where he was a member of the audit, compensation, finance, special, and executive committees. During his career, he has also served on twenty-five private company boards and on seven civic boards.In an industry context. Mr. Shelton's experience includes not only information publishing, information services, software, and the internet, but telecommunications, manufacturing, distribution, natural resources, and retail as well. As an executive, he has been a visionary who consistently fueled dynamic business growth; a value builder sought out for keen business insight and ability to shape profitable public and private companies; and a catalyst and business strategist who maximizes resources, optimizes corporate wide performance and creates market leaders. 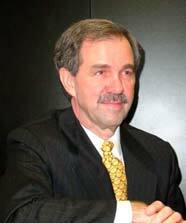 He is a former appointee as Ambassador for Tennessee and a former Member of the Tennessee Prison Agri-Industry Board. Mr. Shelton received a BSBA from the University of Tennessee and a MBA from Harvard University.